Janina Casey, the managing director of BTIG in New York City, has nearly 20 years of experience in equity sales and research. In her free time, Janina Casey enjoys the outdoors, and especially likes hiking. 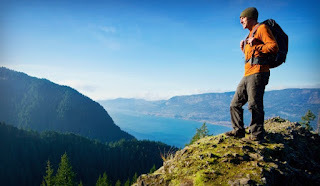 A great way to explore new places and stay in shape, hiking can seem taxing and difficult at first, but by following four simple tips, it can become easier and more enjoyable. 1. Exercise often and well. Many hikers can be fooled into pushing themselves to the breaking point, only to be sore for days after. It's better to train slowly and consistently than in large bursts. Walk a bit more each week, and don't take on too much. 2. Stretching is key. Both before and after a hike, stretching can greatly decrease the risk of injury. It can also improve balance. It's best to focus on the quadriceps, hamstrings, hips, and calves. Yoga can also be a benefit, even once a week. 3. Drink the right amount of water. Many hikers believe that one can never drink enough water on a strenuous hike, but drinking more than 28 ounces per hour without salt can be life threatening. Between 16 and 28 ounces an hour is plenty. 4. Resting is important for both the body and the mind. Making progress is important, but going farther or faster without giving the body a chance to rest can be dangerous and debilitating. If training for 12 weeks, take one week off completely. This is physically vital, and also gives the mind a break. New York-based financial executive Janina Casey possesses more than a decade of experience in research and equity sales. A dedicated philanthropist, Janina Casey mentored and sponsored two underprivileged high school students and was recently added to the board of the National Urban Technology Center (Urban Tech). As part of its effort to help students realize their value to society, Urban Tech maintains Dignity For All (DFA), a bullying prevention and supportive schools program. Through the use of role-playing, storytelling, and popular culture, this program inspires critical reflection and discussion among students to create a more compassionate society. DFA consists of three quests: Attitude Shift: How Reflection and Empathy Can Change Your Life, Knowledge Acquisition: Understanding Bullying, and Behavior Transformation: Creating Reflective and Restorative Communities. These three quests help students break down the issues surrounding bullying. Each quest also teaches skills that promote a supportive and safe culture in students’ schools through a combination of interactive tools and workbooks. In addition to these three quests, DFA hosts regular panel discussions for students. During these panels, students are free to talk with their teachers, classmates, and facilitators about bullying problems. Students are encouraged to share their own experiences with bullying and talk about possible solutions to bullying problems. Meanwhile, panel facilitators use guided questioning to help students recognize the relationship between their decisions and views, and learn to modify their behavior.